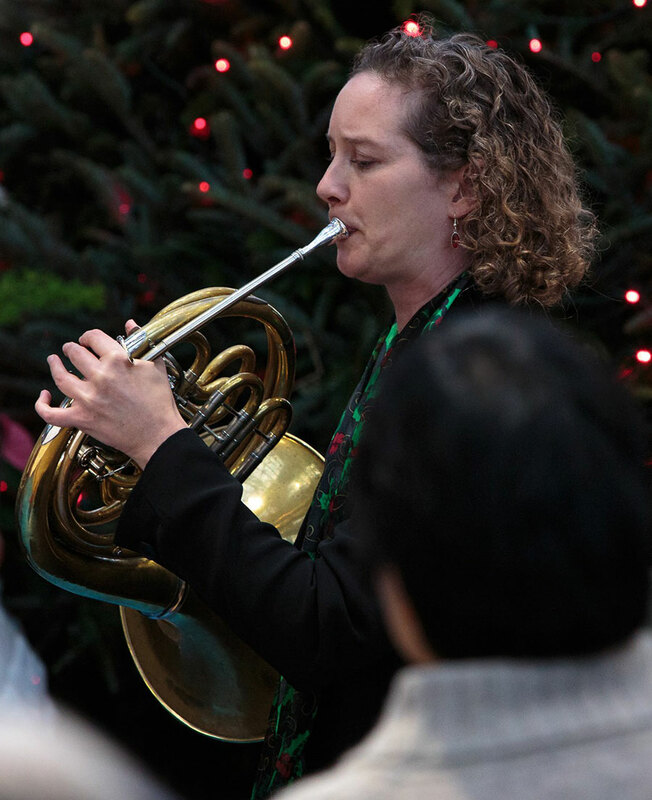 Lin Foulk Baird is Professor of Music at Western Michigan University, where she teaches horn, classical music improvisation, and is a member of the Western Brass Quintet and Western Wind Quintet. International performing invitations have taken her to Spain, Russia, China, the Netherlands, Thailand, Colombia, Honduras, and Canada. In Michigan, she often performs with the Grand Rapids and Kalamazoo Symphony Orchestras. During the summer, she regularly teaches horn at WMU’s High School Summer Music Camp (Seminar) and the Kendall Betts Horn Camp in Lyman, New Hampshire. She has also taught at the Interlochen Arts Camp. Foulk Baird has served as Principal Horn with the Oshkosh and Manitowoc Symphony Orchestras, Second Horn with the Wisconsin Chamber Orchestra, and was a member of the Wisconsin Wind Orchestra. She has also frequently performed with the Milwaukee and Madison Symphony Orchestras. Foulk Baird received the Doctor of Musical Arts and Master of Music degrees in horn performance from the University of Wisconsin–Madison and a Bachelor of Music degree in horn performance from the University of Missouri–Kansas City. Her final project for the DMA degree includes a full-length professional recording and an annotated guide to works for horn and piano by female composers and a Web site at www.linfoulk.org, which lists over 1,000 works with horn by female composers. Her principal teachers include Douglas Hill, Nancy Cochran, Laurence Lowe, and Bruce Heim.